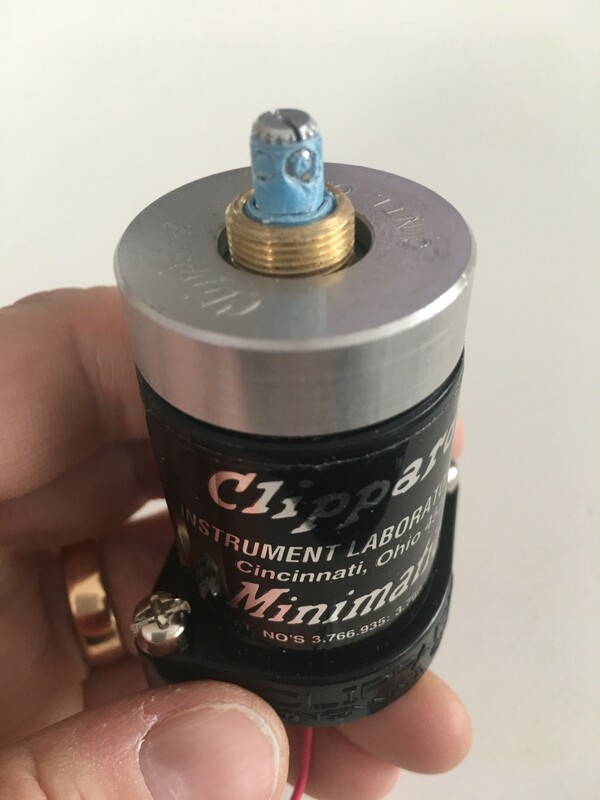 One of the features on both the proton pack and the thrower (the “gun” if you will) on the Ghostbusters costume from 1984, is a Clippard Valve. It is apparently used for something in the real world. In the Ghostbusters world, it is a thing that looks cool. A while back, I 3d printed a copy of a clippard to keep on my proton pack to keep the weight down, and sitting right next to the real deal, it looks pretty good! 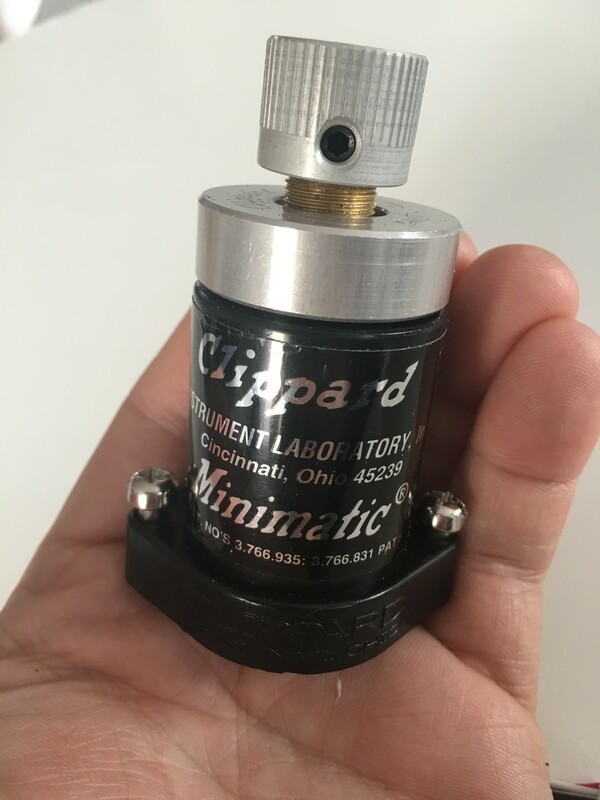 The twist knob still needs a little more work, but I’ve got a resin copy of that coming in, but what I’m devoting THIS post to, is modifying the original Clippard (The one that is supposed to go on the gun) to work as a volume controller for my proton pack. 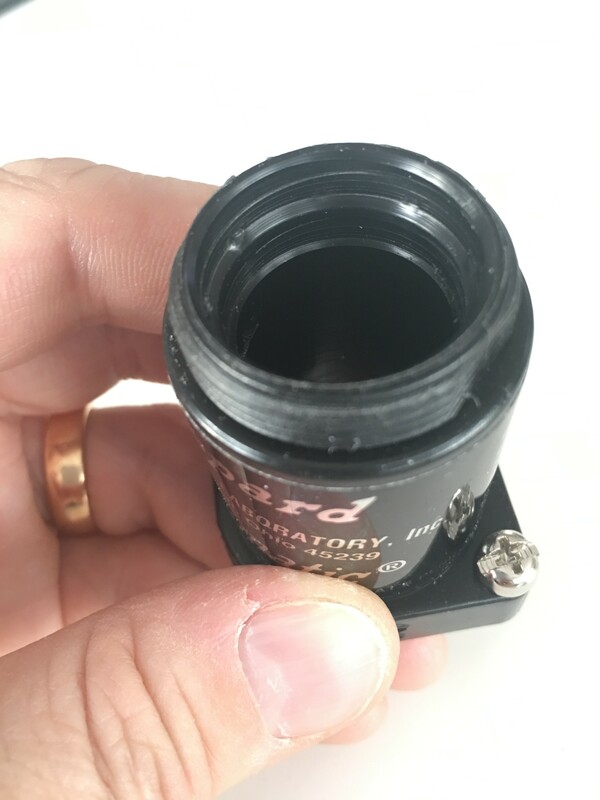 After first opening the clippard and taking it apart, removing everything on the inside, I had to first saw off the round tab on the bottom and drill a hole, allowing the cable to run through. 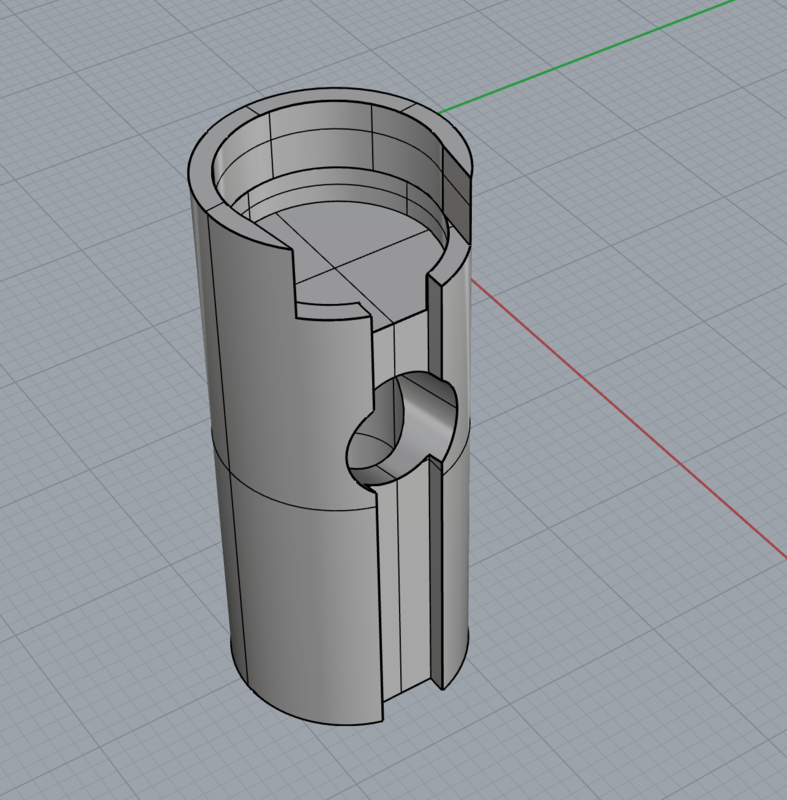 I also 3d designed a huge spacer/holder for the potentiometer that was to be placed inside the clippard. 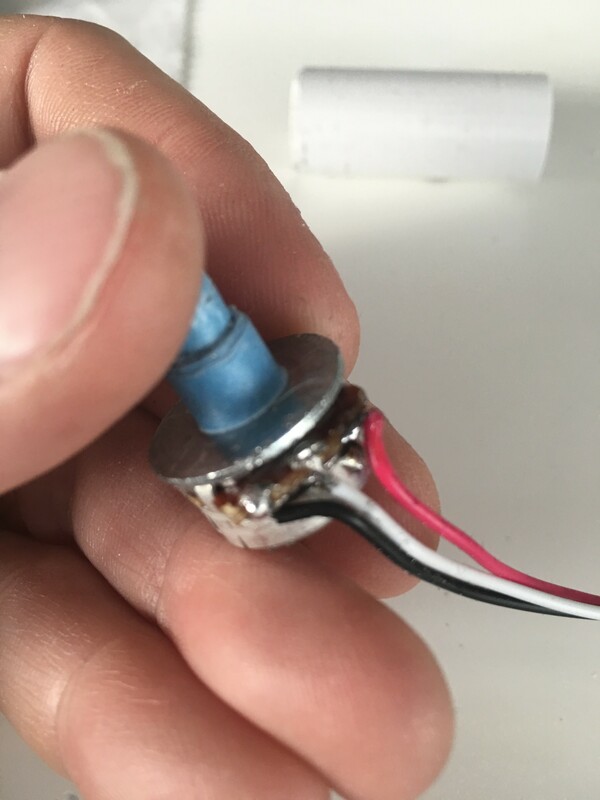 I needed to cut down the pins on the potentiometer in order to make it fit properly, and once it was cut down and the wires were soldered, this what I was left with. To make sure I had enough room for the solder joints, I drilled out the top of the inside of the Clippard with a stepper drill, just to give some more space. 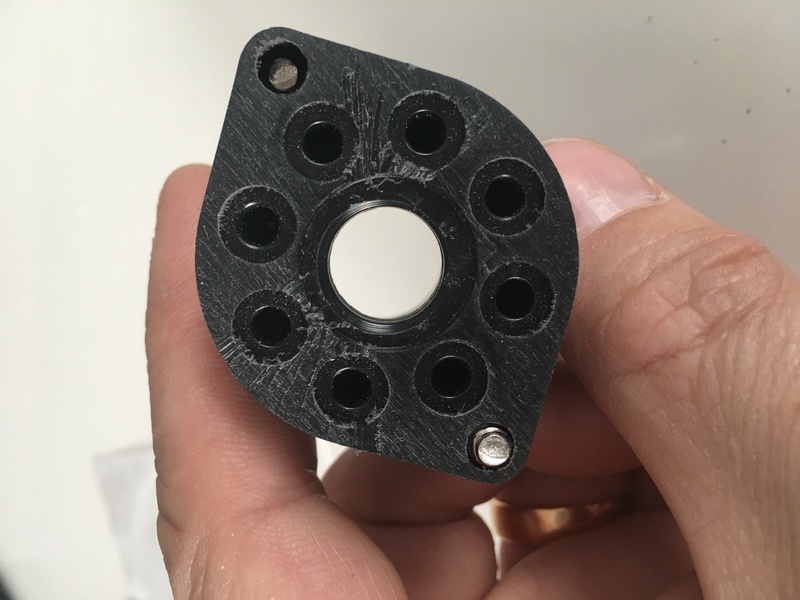 The enclosure will be held in place 6 mm further down where the inside diameter will match the 3d printed enclosure perfectly. 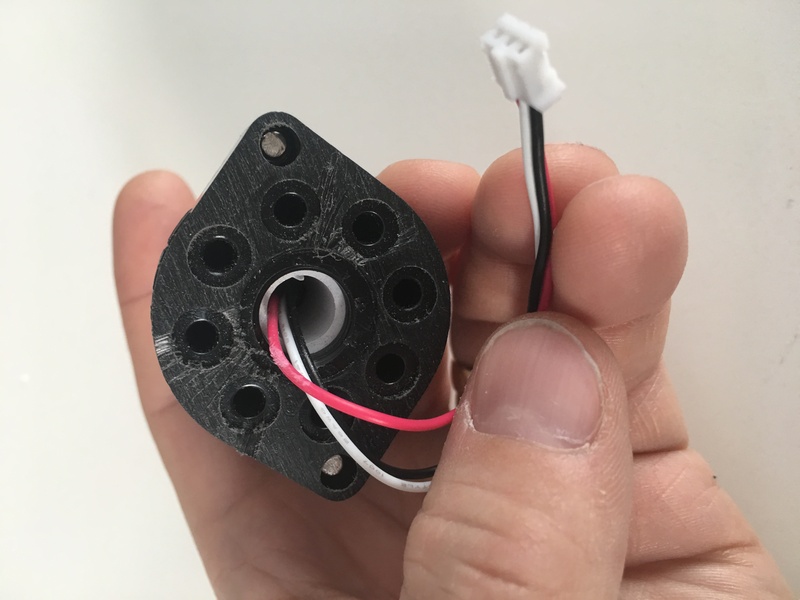 The potentiometer fit like a glove into my 3d printed enclosure. 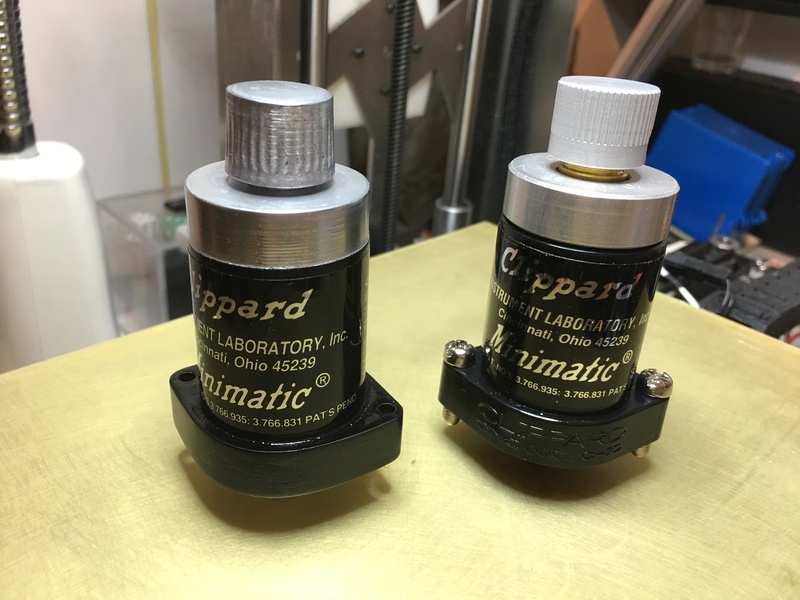 When I started to put the clippard together, the thin axel of the potentiometer didn’t exactly look like the original… so I had to do something here. 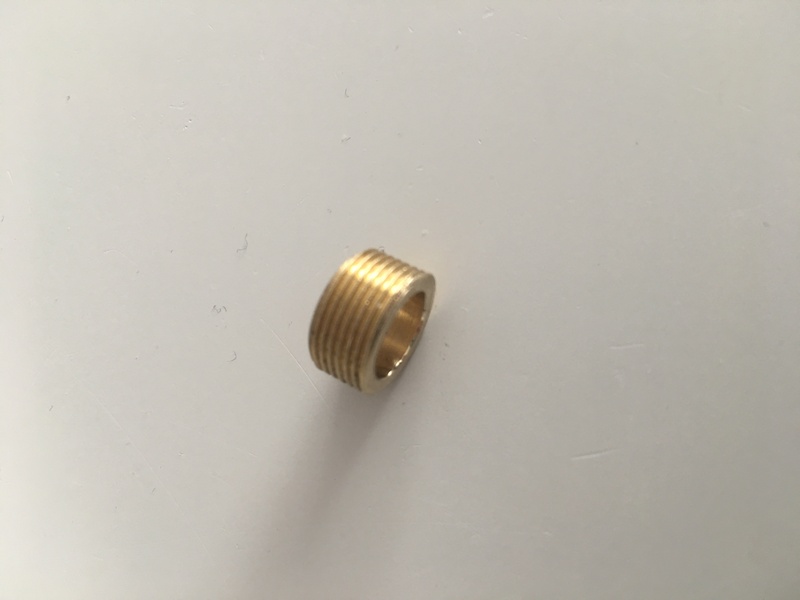 I took the original threaded part that was hooked up to the clippard and the rotary knob, and put it in my power drill with a metal blade to cut off a small piece. 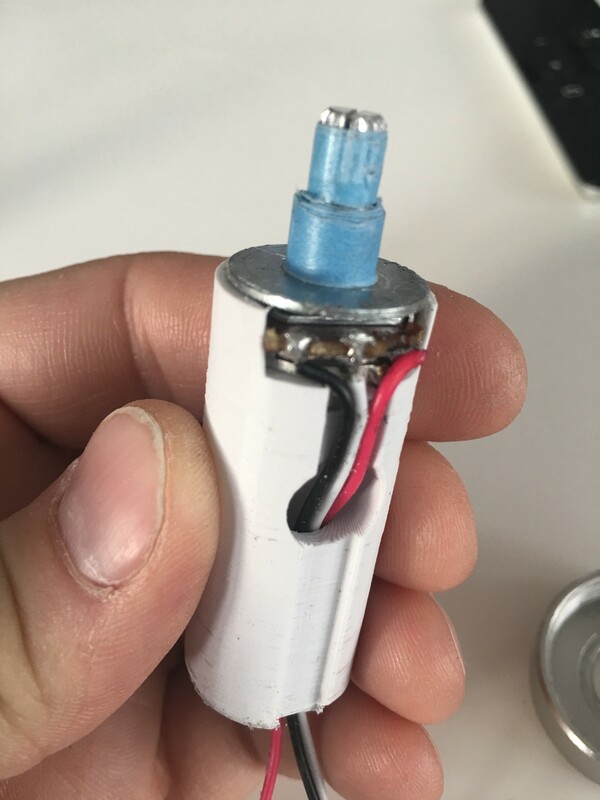 It was still larger than the potentiometer on the inside, so a few turns with painters tape was just right to center the brass bit. Finally, attaching the knob at the top again, and I now have a potentiometer for the volume built into my Thrower Clippard! Can’t wait to actually fit this on my pack in the (hopefully) near future.